The American Library in Paris offers a comprehensive range of English-language materials and academic digital databases that suit the needs of students and faculty from universities, study abroad programs, bilingual and international schools, French lycées with the competitive OIB Anglophone section, and English language schools. The American Library in Paris, established in 1920, hosts one of the largest English language circulating collections on the European continent with 100,000 English-language books and magazines. The Library also boasts a wide array of digital resources, including: EBSCO, JSTOR, ProQuest Ebook Central, World Book Encyclopedia, RBdigital, OverDrive, and The New York Times. 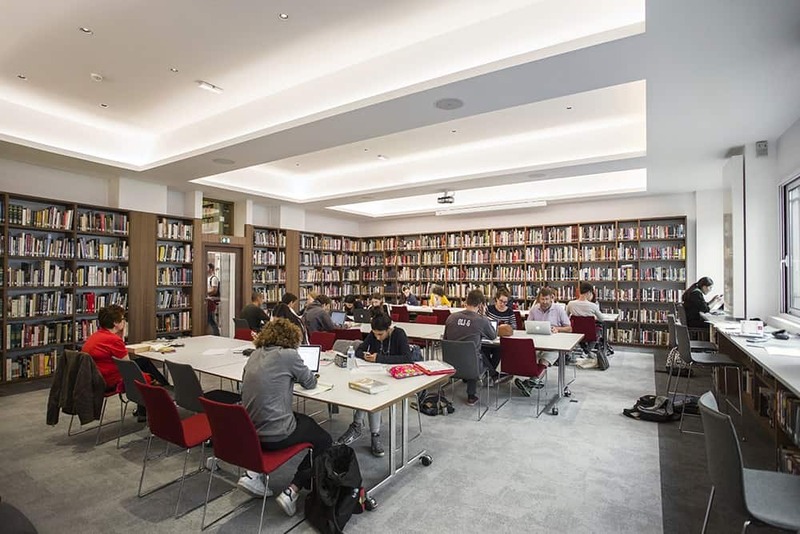 Located near the Eiffel Tower, the Library is the perfect place to study, whether alone or in a group, with a sound-proof reading room, conference room (for 12 people), two study rooms (for 4 people), and a second reading room (for up to 50 people). Reference librarians are available for research assistance. The Library has extended hours on Thursday evenings and is open Sunday afternoons. Many lycées, colleges and universities operating in and around Paris benefit from discounted institutional memberships tailored to the academic calendar and the needs of each institution. To learn more about institutional memberships, please Strategic Partnerships Manager Pauline Lemasson at lemasson@americanlibraryinparis.org. For a full listing of Library membership benefits, check here. Another benefit of institutional membership is each partner school/institution receives one orientation per semester. The Library offers a variety of orientation formats that can be adapted to your students’ needs. The Library offers a variety of orientation formats that can be adapted to suit your students’ needs. There is no orientation fee for partner schools/institutions that purchase memberships for their students and faculty. For all others, there is a flat fee of 35€ and 5€ per student. Please allow a two-week advance notice for Library orientations. To schedule a Library orientation, fill out the online registration form.